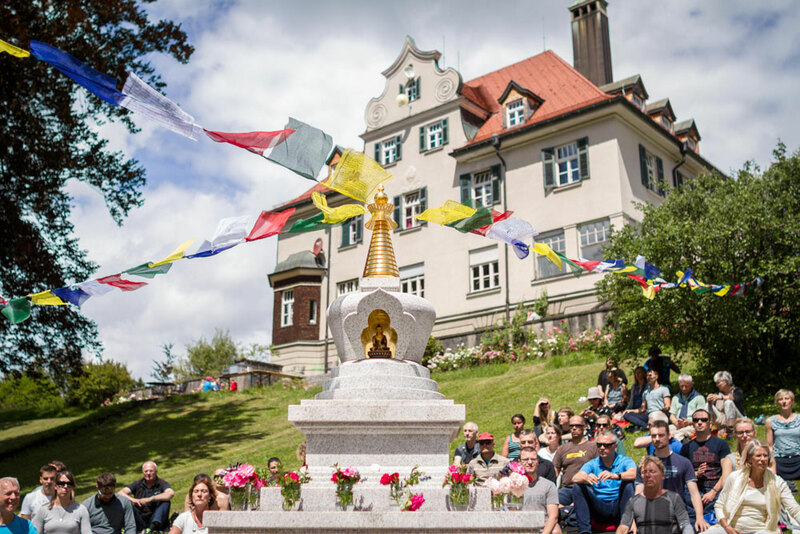 When he inaugurated the 7 Swiss Stupas in 2001, Lopön Tsechu Rinpoche advised that the sangha should come together every year to celebrate the stupas’ “birthdays” together. 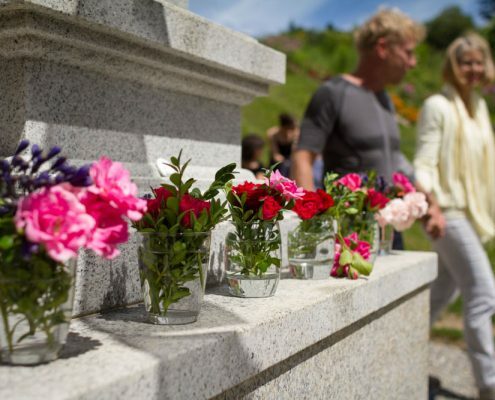 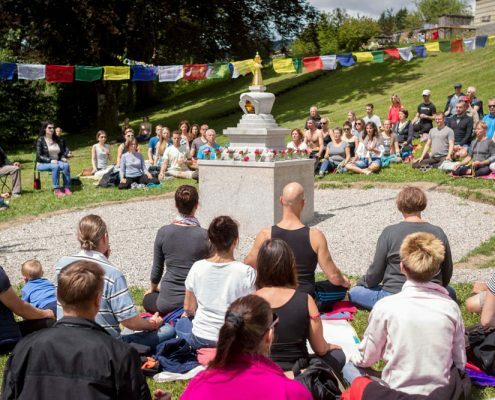 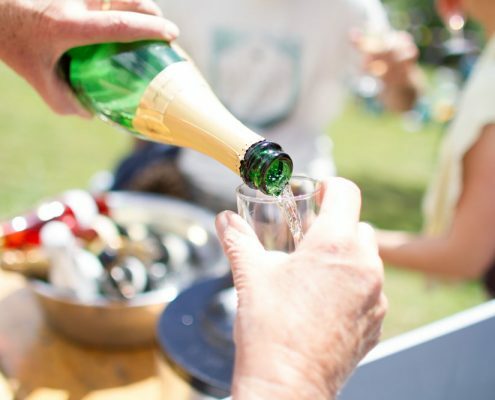 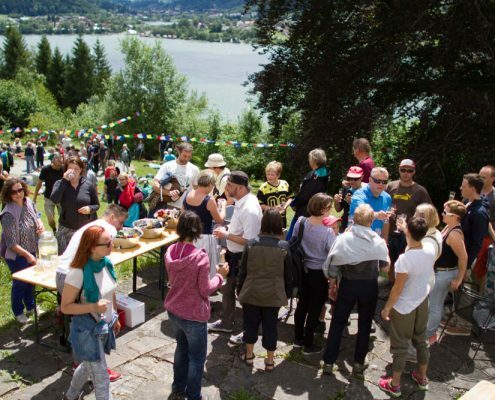 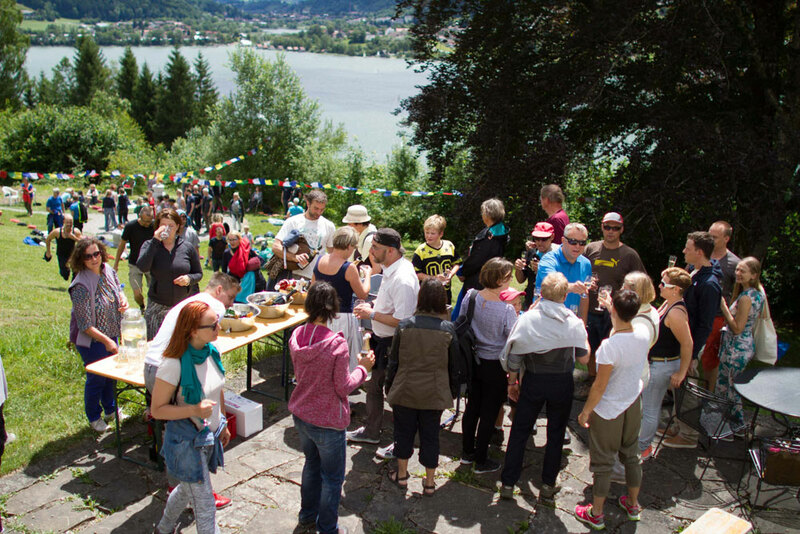 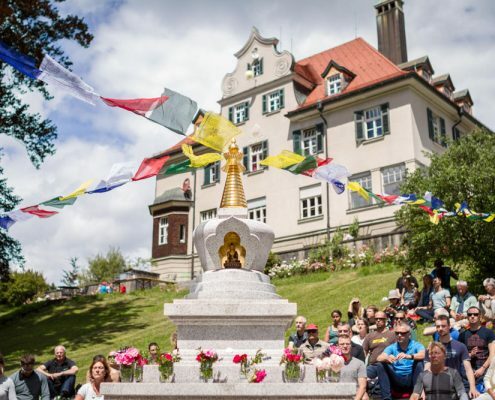 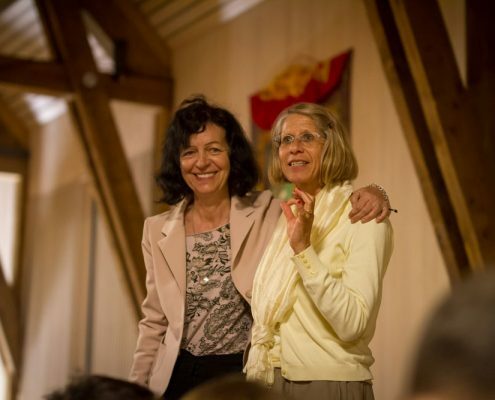 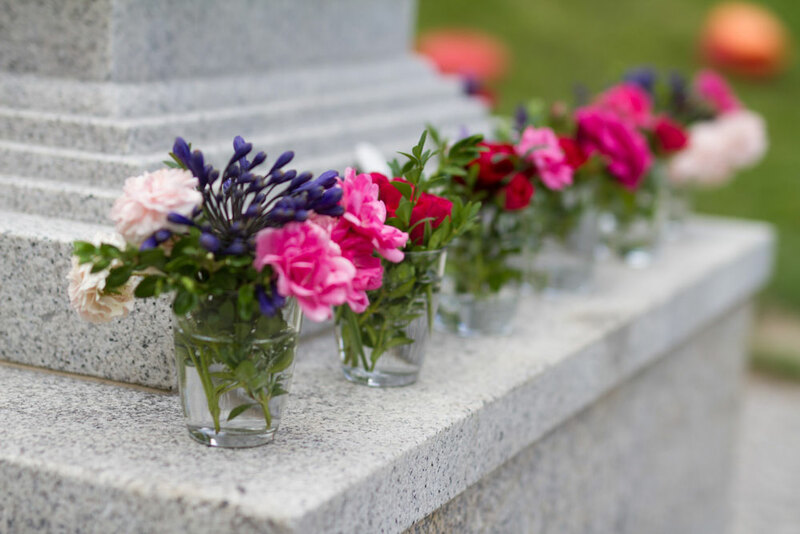 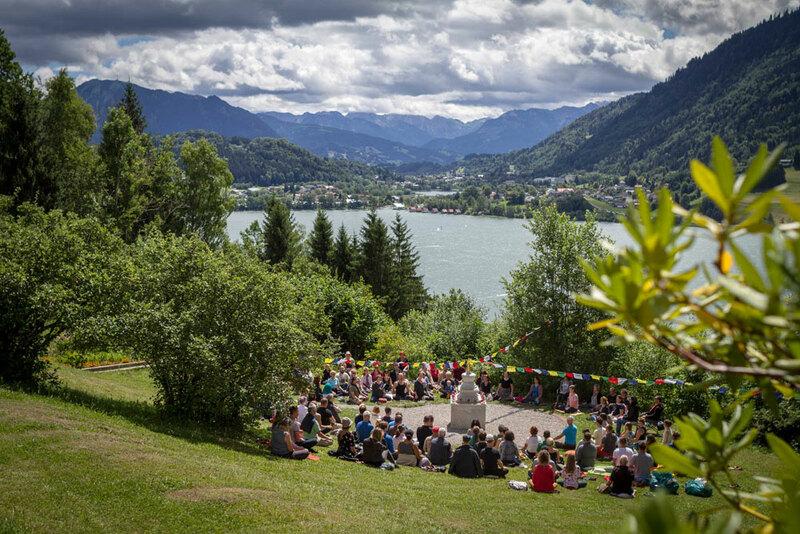 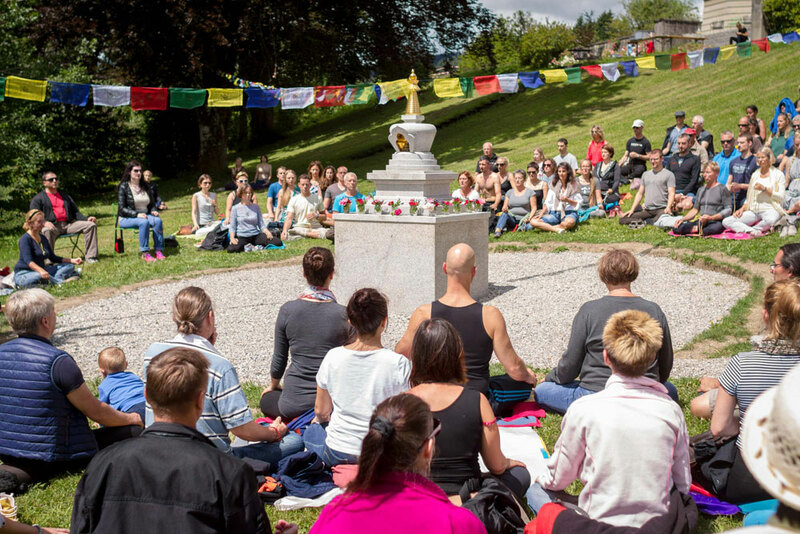 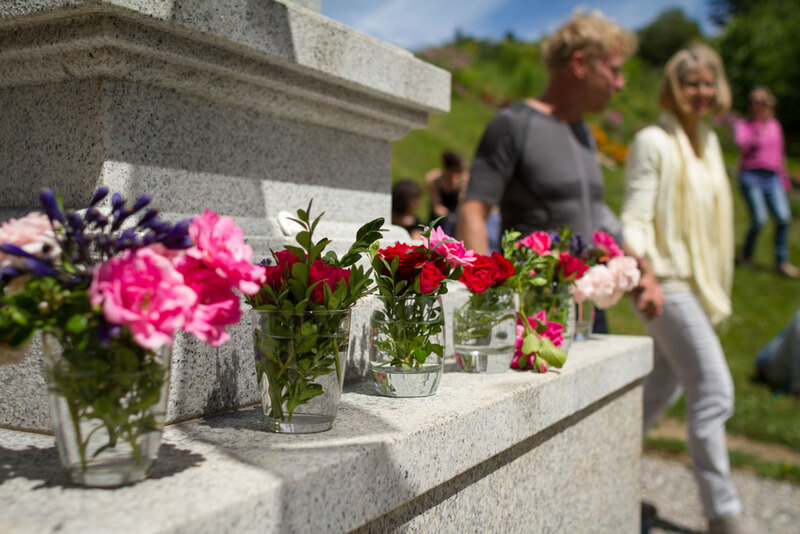 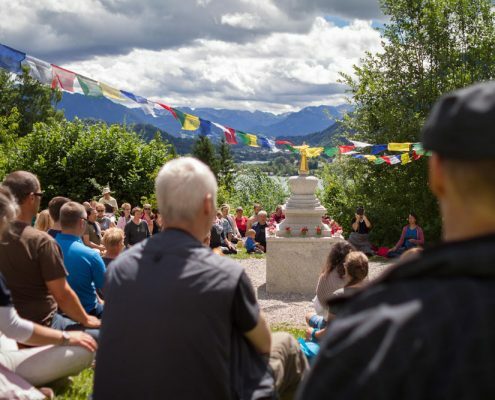 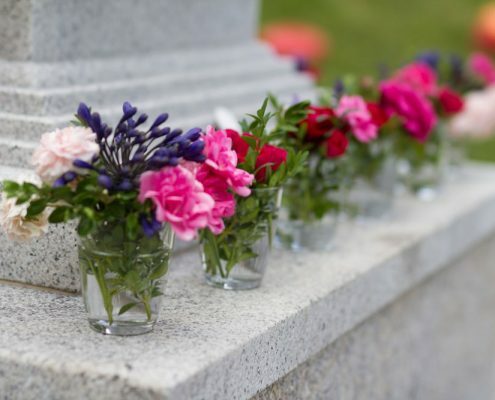 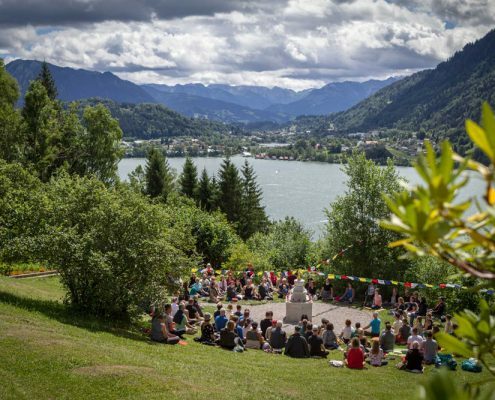 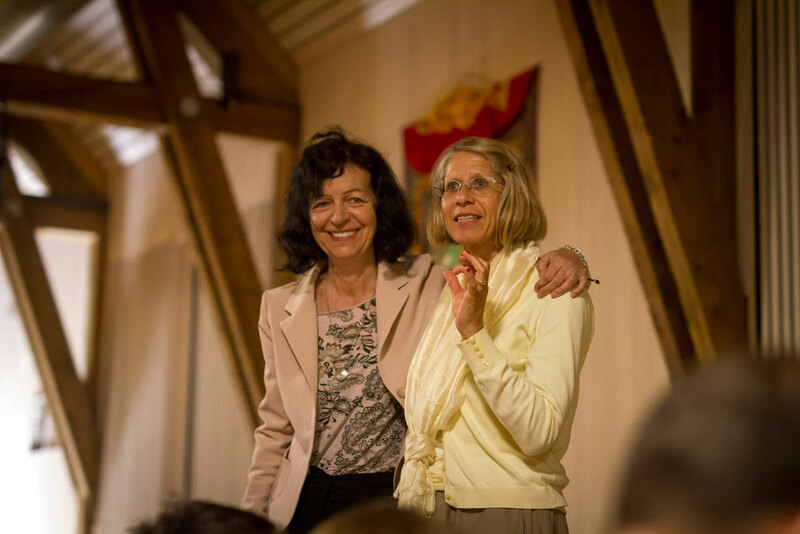 This year we had the honor of hosting these celebrations together with all our Swiss friends at the Europe Center – because our beautiful Stupa of Long Life was given to the EC as a present from Bern/Switzerland in 2014. 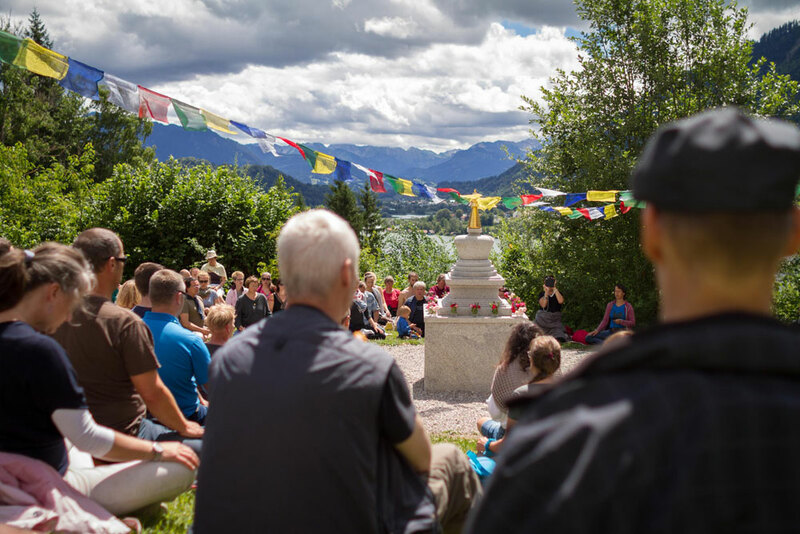 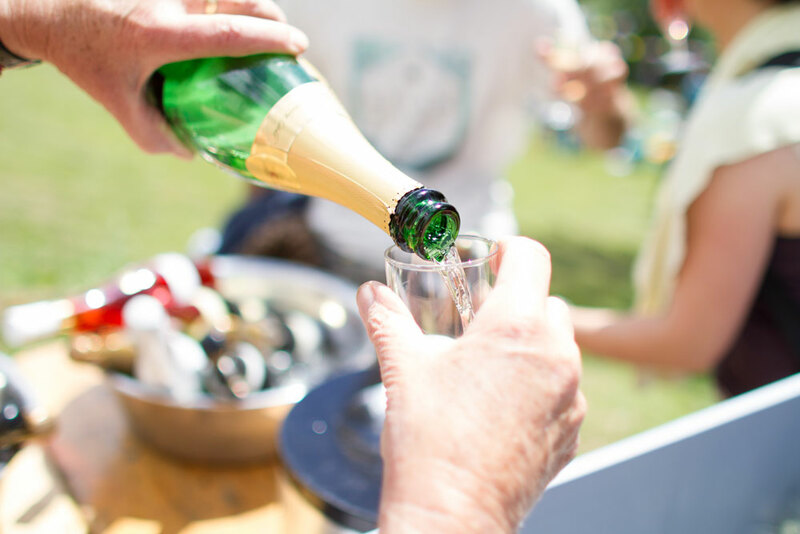 We enjoyed inspiring and touching lectures by our international stupa experts and Lopön Tsechu Rinpoche’s longterm attendant Maggie Lehnert-Kossowski and rounded off the celebrations with a 16th Karmapa meditation at the Stupa of Complete Victory, followed by a birthday toast in the garden. 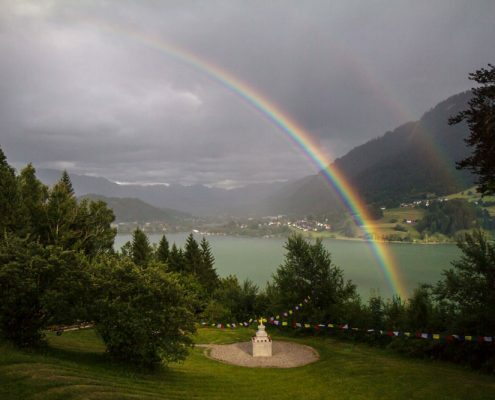 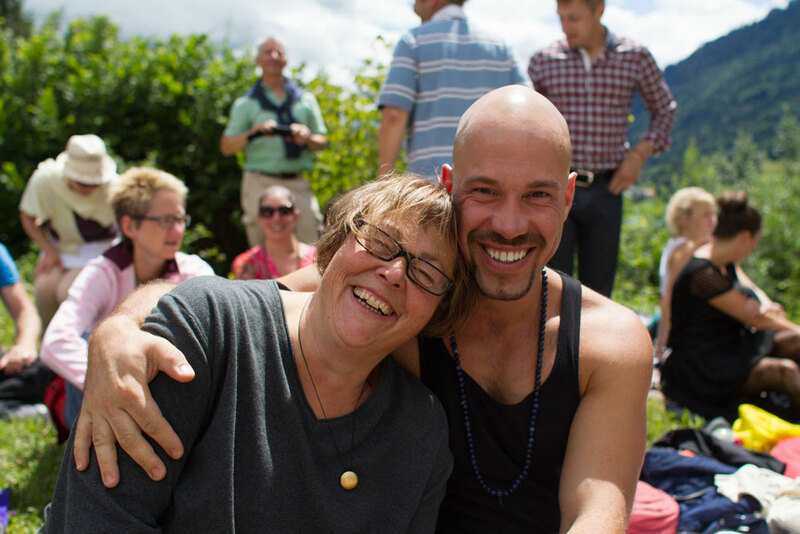 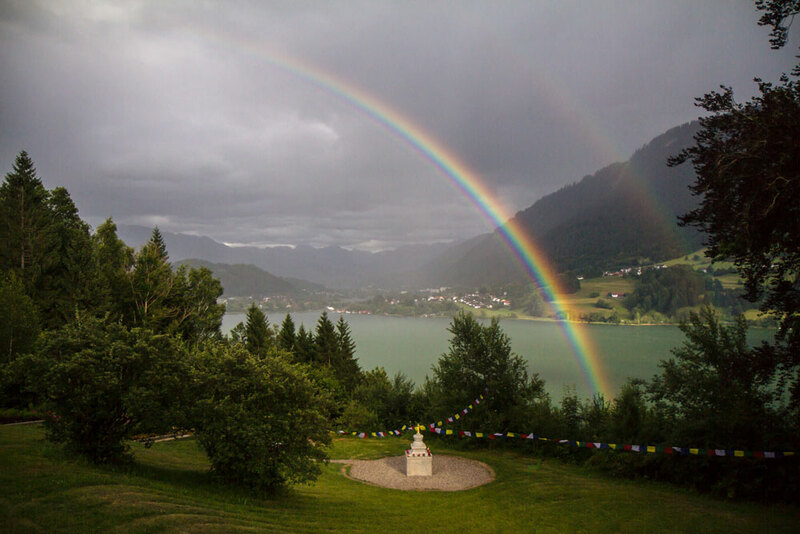 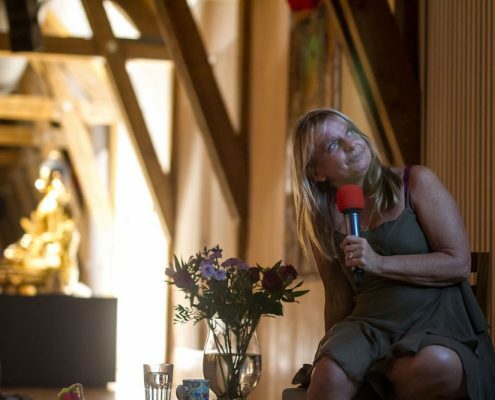 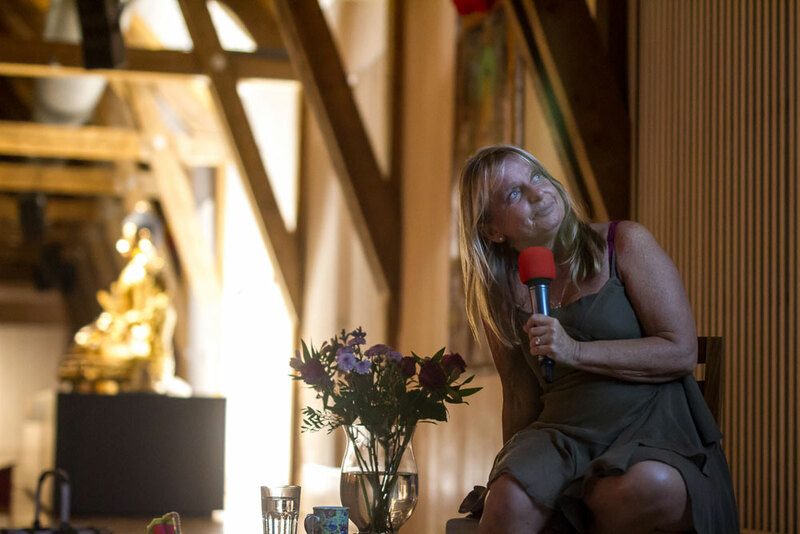 The celebrations in memory of Rinpoche were crowned by the most beautiful rainbow we’ve seen in a long time, stretching acbove the stupa and the lake while Maggie was sharing her memories of Rinpoche and his amazing work for the benefit of all beings with us.